Update 22 July, 2017: The developers behind TimeSplitters Rewind have issued an update following their previous blogpost which described how development had slowed. Posted a few days ago, this update post focuses on trying to “clear up some statements made that unfairly criticised the engine used.” They want to make it clear the reason why development was slowed was not the “usability” of CryEngine, but the experience of the developers working on the project. They’re looking for people to help fill these gaps in their knowledge, perhaps implying they’re sticking to CryEngine in the future. They’re in talks with Crytek now to try and get past the current challenges, and are postponing the poll to discuss whether they should swap engines. You can view the full, official posthere. Original story 11 July, 2017:Development on TimeSplitters Rewind has “gone stagnant,” according to the development team, forcing them to consider “hard choices” on the future of the fan-made standalone multiplayer game. 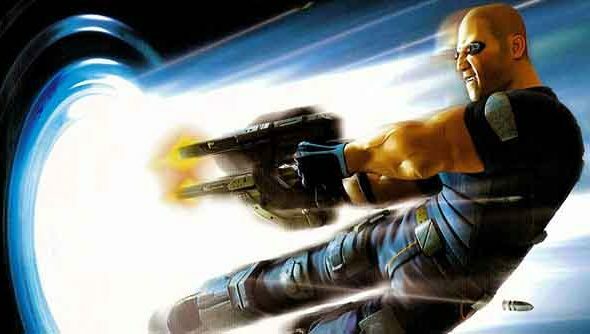 While feedback from testers on an Unreal Engine 4 version tested positively across “all hardware we tested”, the team admits that if they use that version of the game, going forward they “cannot use the TimeSplitters IP and would likely have to re-brand”… which suggests the issues are really, really significant, right? “This is something we have talked about internally and we have a clear idea the direction we would take with it. If this is to happen, we would likely do our own interpretation of what we think TimeSplitters 4 could have been,” the statement concludes.